European Stroke 2019 has been planning and aiming to stimulate new techniques for the treatment of Stroke and Cerebrovascular Diseases that would be beneficial for the Neurosurgery and Neuro Oncology. The conference will be organized around the theme ''New Hope for Stroke and Cerebrovascular Diseases Recovery"
On behalf of the European Stroke 2019 committee, we are pleased to invite you to join the upcoming “8th International Conference on Stroke and Cerebrovascular Diseases” to be held during July 29-30, 2019 in Stockholm |Sweden. Ischemic stroke is caused by a dysfunction in the supply of blood to the brain due to emboli, thrombus or atherosclerosis occurring in cerebral arteries. According to a World Health Organization (WHO) estimate, around 17 million people die every year due to cardiovascular diseases. Heart attacks and strokes respectively account for the highest number of deaths due to cardiovascular diseases, globally. The statistics of the Centres for Disease Control and Prevention suggest that about 87% of all strokes are ischemic strokes. Stroke is one of the leading cause of long term disability, occurring at a higher rate in the old age population. Moreover, stroke leads to 1 out of every 20 deaths, costing around $35 billion to U.S. annually and higher rates of mortality associated with strokes highlight an impending need for innovative drugs and diagnostic devices. 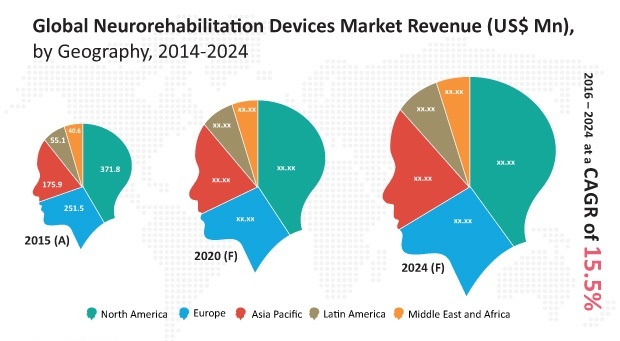 The two major factors propelling the growth of the acute ischemic stroke diagnosis and treatment market are; large patient pools and a concerning rise in population at a higher risk of developing stroke in the near future. Rising incidence of diabetes along with heavy tobacco users and an increase in the ageing population are significant factors that determine the market growth. However, the high cost of treatment, lack of transparent reimbursement policies, and limited availability of expertise; are likely to restrict the market growth. The global ischemic stroke diagnosis and treatment market is segmented on the basis of type and geography. According to type, the market is segmented into, diagnostics and therapeutics. The diagnostic market is further segmented into Computed Tomography Scan (CT scan), Magnetic Resonance Imaging (MRI), Carotid Ultrasound, Cerebral Angiography, Electrocardiography, Echocardiography and Blood tests. The therapeutic market further segments into Tissue Plasminogen Activator Anticoagulant, Antiplatelet and Antihypertensive. Geographically, the market is segmented across four regions namely North America, Europe, Asia Pacific, and LAMEA. New Product launches and collaborations are some of the key strategies adopted by leading industry players. In March, 2015 has FDA approved WATCHMAN, a left atrial appendage closure device designed to prevent stroke in patients with atrial fibrillation. Silk Road Medical, Inc. has launched an Anti-Stroke Enroute Device, a transcarotid neuroprotection system, designed to access the common carotid artery through a minimally invasive technique. NeuroVive Pharmaceutical AB, entered into collaboration with BBB Therapeutics, for development of the NVP014 drug candidate used in the treatment of ischemic strokes. The companies profiled in this report include, Abbott Laboratories, Medtronic plc, Boston Scientific Corporation, Cordis Corporation, Koninklijke Philips N.V., GE Healthcare, Siemens AG, Stryker Corporation, Genentech, Inc. and Merck & Co., Inc.